Lion's Mane jellyfish (Photo: Aplonid, Flicker Sharing). As a kayaker and rower I tend to stay on the water as long as safely possible, right up until water and air temperatures become unsafe without a dry suit. Winter paddling and being on the water can be great fun, especially when you look for winter visitors that may be here for the season. 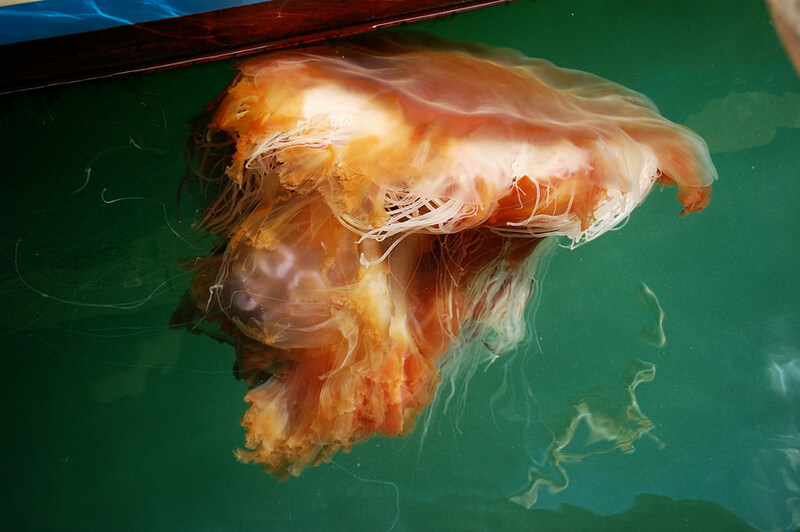 One such visitor is the lion's mane jellyfish or winter jelly. Here in the Chesapeake Bay it's a common visitor to our waters in cold months. Many of my friends send me pictures asking exactly what they're seeing, and why there are jellyfish moving in the waters in winter, so I thought a post about these unique invertebrates might be in order. Posted in Invertebrates, Venomous and Poisonous Creatures and tagged lion's mane jellyfish; lion's mane; winter jellyfish; on December 29, 2015 by Infinite Spider.